I watched the ABC’s Foreign Correspondent the other night in a state of increasing incredulity as the national broadcaster outdid by a country mile even its own standards of callous indifference to the safety of those on whom it reports. Last week, about the same time it emerged that the ABC was footing the bill to protect Bill Mellor, the man leading Campbell Newman’s bikie crackdown, whose his home address the ABC quite explicitly revealed to its viewers and his enemies alike, reporter Stephen McDonell struck me as going much further down that same irresponsible road. The reason for my reaction is the matter of my own history. I was born and raised in the now defunct USSR , where even a few innocent words with a foreigner could see you fall under suspicion, be condemned as a miscreant and packed off to the labour camp. That memory was uncomfortably refreshed as Mandarin-speaking Stephen McDonell visited the mostly Muslim Uighur region of China, a seething cauldron of ethnic tensions and preoccupation of China’s leaders. Uighurs are not happy about sharing their homeland with increasing numbers of Han and many lives have been lost in eruptions of rioting and violence. Beijing brands the unrest as terrorism and has implemented security measures that are stringent even by its own jackbooted standards. Evidence of that clampdown featured prominently in McDonell’s reporting, which hung upon a series of provocative interviews with a shop owner and an imam, plus man-on-the-street interrogations of young Uighurs. The questioning was along the lines of “How oppressed by the Chinese are you?”, the subtext being “Don’t you just hate these interlopers?” Important to note is that most of the questioning was done under the watchful eye and supervision of state security, whose agents in some cases were recording McDonell’s interactions. McDONELL: And what do they think is causing the tension here? UIGHUR MAN #2: “We can’t talk about it. We can’t say anything about it”. McDONELL: “So even here when we’re in a crowd and once you ask people about the violence, what’s caused it, the crowd here doesn’t want to talk about it. They’re happy to talk about their lives but they feel obviously it’s a bit too dangerous to speak about these things — even if they’re not involved — even just to give an opinion is something that could really get you into trouble”. As for possible solutions? 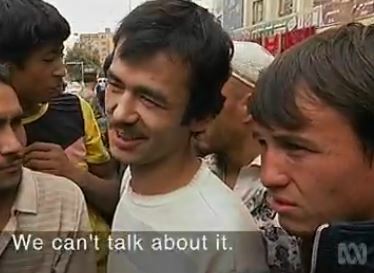 UIGHUR MAN #1: “We don’t know, we can’t talk about it. We can’t…”. UIGHUR MAN #3: “If there are fifteen different ethnic groups here, the treatment of the Uighurs is the worst. It’s the worst”. McDONELL: The reason we’ve been hindered is to prevent comments just like these getting out. UIGHUR MAN #1: “There’s pressure on Uighurs. Talking about it gets us into trouble. We will get blacklisted”. UIGHUR MAN #3: “They say “you are all equal” but that’s a lie. Injustice is everywhere here but we can’t talk about it”. McDONELL: And when might the violence end? UIGHUR MAN #1: “Only God knows. It depends on the situation. We can’t talk about it“. I cannot imagine what kind of answers McDonell imagined he would get, not with Beijing’s goons hovering in the background to take down every word and inflection. If his interview subjects played their parts well — gave the right answers, said nothing to anger their masters — they will probably suffer no repurcussions, but there is no way to be sure. As in the old USSR, an individual’s fate can turn on the subjective appraisal of some anonymous bureaucrat in the security apparatus. If that petty commissar perceives a less-than-loyal citizen, you’re in trouble. And if he doesn’t take exception himself, a boss further up the chain just might, so why not kick in a door or two just to be on the safe side? My heart was in my mouth as I watched McDonnell goad these unfortunate people, some chosen for him by State Security, in an apparent bid to have them denounce Beijing’s regime. His interlocutors insistently refused, as politely as possible, to respond in kind to the reporter’s leading questions and provocations. I did not need sub-titles or a voice-over to know that they were weighing every word, fearful of the dreadful consequences should they say the wrong things. The fact that some ill-advisedly said they were afraid to speak on the matter was, in itself, confirmation of Chinese authorities’ brutality. I pray no harm came to them after McDonell’s media caravan moved on. From the perspective of my comfy chair the thought did not seem to strike McDonnell that his questioning might endanger his subjects. Then again, perhaps it did realise it — and perhaps he continued with the tack he took because he deemed them willing to shoulder the potential pain, should they incur officialdom’s wrath. Then again, as this was the ABC, it might have been that the goal of airing yet another case study in Muslim suffering was paramount, and damn any further Muslim suffering the report might cause. Until the national broadcaster is reformed, stripped of its agendas and the prevailing tendency to groupthink is dismantled, we can never know what motives animate its decision-making. As a law unto itself, the ABC must have a lot of trouble grasping what life is like under even the most mild supervision and control, let alone Beijing’s iron gaze and heel. And there was another unsettling aspect to the programme. Beijing clearly regards Uighur restiveness as a grave concern, so the visit of a Western correspondent with, shall we say, a pre-determined agenda is freighted with political and international implications and potential consequences. Despite all security considerations, Chinese authorities were incredibly restrained in their dealings with their intrepid visitor, which suggests the Chinese value good relationships with Australia. Now here is the rub. As China has nothing that resembles an independent, unsupervised media, the ABC would be seen as representing the Australian government, which pays McDonell and foots the bill for his expenses. Through Chinese eyes the conclusion is forgone: by dispatching the reporter and his crew to the troubled province and then airing their footage, Canberra evidences its antipathy toward the Middle Kingdom. That is not the way we in Australia would see the matter, as we know the ABC for what it is, but in Beijing that conclusion would be inescapable. Not only have individual Uighurs been placed in jeopardy by the ABC, Australia’s relationship with its biggest trading partner has been stressed. That Han-Uighur tensions are an important story is not in dispute. What I object to is the sensational tone and irresponsible approach the ABC embraced. There is a pattern to such behaviour, and not just with this or the Mellor incident. Remember the diplomatic discord that erupted when the ABC, acting in concert with The Guardian, revealed that our intelligence operatives had been monitoring with whom and for how long the Indonesian president and his wife chatted on their phones? Recall how incensed Indonesians were? Well, truth be told, they were not incensed by the facts of the report – security services spy on each other every day and night, as all who operate in that grey world of spooks and snooping very well know. No, the Indonesians were upset because it all became public with the ABC’s help. 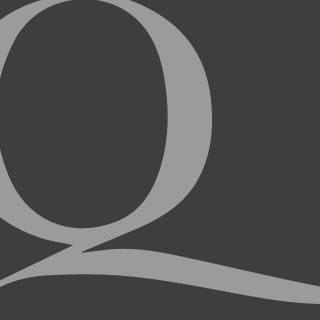 Why the ABC felt compelled to ally itself with The Guardian, which could have unveiled its scoop all by itself, is a question that has never been asked by the broadcaster’s senior management. Then again, when “senior management” is represented in the shape of managing director and self-proclaimed “editor-in-chief” Mark Scott, no surprise there. Likewise, there were the ABC’s breathless revelations that the Navy was torturing would-be illegal arrivals, allegedly, with the hot engine parts of their leaky boats — a claim that was itself so tortured even Media Watch was obliged to concede a beat-up (albeit with a gratuitous digression into the evil of Rupert Murdoch). Once again, tensions with Indonesians were unnecessarily heightened. Now, while the fact of China’s stern measures against the Uighurs is not in doubt, the way the ABC put Beijing’s dirty laundry through its mangle ran the same risk and might well have prompted a similar and acrimonious result. Thanks for that, ABC. How foreign to responsibility and how far removed from common sense is our national broadcaster. More to the point, how much longer can Communications Minister Malcolm Turnbull allow the ABC to remain as it is? Having squibbed 18C and finding that the words muslim and terrorist are grammatically unconnectable I cannot see this Liberal government taking on the all-powerful ABC. Too hard when the real threat to Oz is the temperature records at Rutherglen.